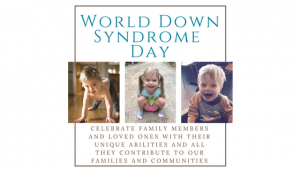 This year on World Down Syndrome Day 2019, the charge and call of action for every person with Down Syndrome and the advocates who support them is to tell the world to “leave no one behind.” Every person with Down Syndrome is capable, deserving, and worthy to live a full life with equal opportunities. In a world where many are self-focused and driven in their own paths for life, our brothers and sisters with Down Syndrome often face exclusion and discrimination and are often “left behind.” This is especially true for our waiting children. I had the chance to sit down with an adoptive family, Ross & Tamara, currently in the process of bringing home their two-year-old daughter from South East Asia for an interview. Here is a snippet of what we discussed. What should other families considering adoption know about Down Syndrome? When was your heart first stirred towards parenting a child with Down Syndrome? 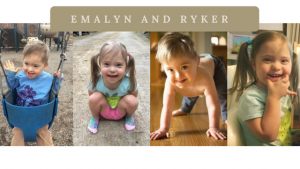 My heart was first stirred towards parenting a child with Down Syndrome when I read the article, Where Have All the Kids with Down Syndrome Gone?. The article focuses on the increased rate of abortion when a diagnosis of Down Syndrome is given. 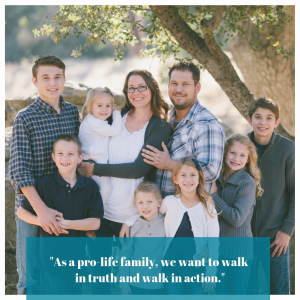 As a pro-life family, we want to walk in truth and walk in action. If we are fighting for pro-life, we should also fight for the children that are waiting and take action to support them. For us, that means adoption, for others, that might mean advocating. What does your community and support system look like? 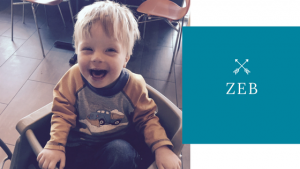 Our community does not have many families that are parenting children with Down Syndrome, however, we have found several online communities and forums that are so supportive and available to answer all of our questions. Our church community has also been very supportive! They have come alongside of us and are praying and patiently waiting for the arrival of our daughter into our community. Our local Regional Center and school district offer plenty of early intervention and educational resources that we are so excited about accessing once our daughter comes home! 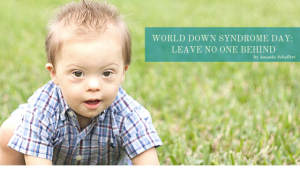 Let’s stand beside our friends with Down Syndrome and be a part of leaving no one behind! Here are a few links to increase your knowledge of Down Syndrome and to advocate for our friends. Let us know some of your favorites! I have always known that I wanted to adopt. Like many women, I assumed that it would be after I was married. However, God had a different plan for me, and I continue to be blessed beyond anything I could have imagined. I am a single mama of two precious boys, both adopted from China. We are now in the process of adding a little princess to our family. Trusting God to build my family has been one of the most faith-building and awe-inspiring things in my life. I work in a neonatal intensive care unit. When I was still in training, I came across a picture of my first son. God made it quite clear that he was my son. I am so thankful that God was faithful to speak loudly and clearly enough that even my feeble faith at the time could follow Him. It seemed illogical. I was in training. I was single. I was very stretched financially. And the child he showed me was a 5 year old boy. Weren’t single women supposed to adopt little girls? To top it off, this child was deaf, a special need that I wasn’t prepared for. No one in my family knew sign language and I knew that he NEEDED extended family if I was to adopt him as a single mama. Time after time, God moved mountains. Family members were learning sign language, finances came through at the last minute, and my precious son Samuel has now been home for 4.5 years. Beyond all explanation, this child who had no language for almost 6 years is now a fluent English language speaker. Within the first year of coming home, Samuel began to pray for a brother. I should have known then what was coming! I wasn’t ready AT ALL. We had just moved to a new state where I knew no one so that Samuel could attend a school for the deaf. But God was moving. One year later, I began the process to adopt again, I thought this time for a little girl. Once again, I had no idea how God was going to do this, financially or otherwise. Three days later, a friend texted me the picture of a little boy, asking if I had seen him on the advocacy websites. On that same day, my agency called with a referral for a little girl, exactly the age and a manageable special need that was on my heart. A few minutes later, I stood at my computer and I saw the most beautiful, perfect little face pop up on my screen. She was a vision and I knew instantly that she wasn’t mine. I sobbed and sobbed. What was wrong with me? My heart kept pulling to the little boy in my text message. Seriously God? TWO BOYS? As a single mama? I thought for sure I was not hearing correctly. I called my agency back and asked for time to pray. Three days later, I called to decline the little girl’s file and accept the little boy’s but my faith-walk wasn’t over yet. This time God didn’t “write on the wall”. This time, it was a still small voice that I really wanted to drowned out. But HE gave me courage to walk forward. That most precious little boy was in my arms in FIVE AND A HALF MONTHS! Start to finish, this was the fastest journey I had ever heard about. God provided social supports and the necessary finances in the way only God can do. Once again, He provided where I saw no way. And my Averey? He is the cuddliest, most affectionate child I have ever met. He is the perfect, funny, light-hearted balance to my serious, determined first son. They are the family only God could build. Then in September of 2017, Averey started praying for a little sister. It took awhile for his brother to come around, but then they ganged up on me. And here we are, at another cross-roads. I have no more idea what God has in store this time than I did the other times. Samuel has graduated from the school for the deaf and both boys are attending a public school for the first time this year. We were able to move to a smaller community closer to friends and family and things have settled into a nice even pace again. Like with Samuel and Averey, God led to my daughter. Our precious little girl (“little sister” as we refer to her at home) is waiting for us in China and we are well on our way to bringing her home. God has shown Himself already in a million ways like only He can. It gets harder each time to figure out the finances of adoption. I have expired my retirement, I just bought my first house ever with zero down and am still paying on my college loans. It seems risky at worst, unwise at best, but I have seen HIM through this process more clearly than I ever have before. He has changed me, shaped me, and molded me through the stretching of my faith. He has built a village around us and continues to do so. I continue to pray for His guidance and His provision. It is a scary thing, walking into adoption as a single parent. I watch my boys sleeping at night and am in awe that I get to co-parent them. They love to tell people who ask, “My daddy is God.” I guess that pretty well sums it up. Jay and Kait Lakhani are currently in the process of adopting a little girl from China. They have named her Joanna. Joanna was born with Down syndrome. Ironically, after a 16 month journey, Jay and Kait will be traveling to bring her home at the end of October. October happens to be National Down Syndrome Awareness month! Down syndrome is the most common chromosomal condition, occurring in 1 of every 700 births here in the United States. Although we do not know the statistics for births in other countries, this special need is particularly close to my heart due to the sheer number of children we advocate for with this diagnosis. Each of these children need a loving home where they can have access to the love of a family and medical care they deserve. Jay and Kait felt a calling to adopt, even before they married. They have a history of working with the fatherless as they lived in Uganda for a time and worked in orphan care while living there. 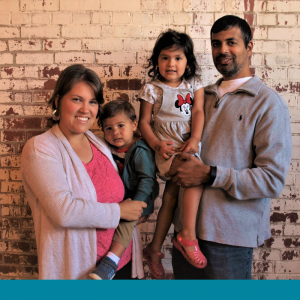 Having both worked in the medical field, Jay and Kait are aware of many complicated medical needs and were called to care for a child who cannot care for themselves. When they first began exploring adoption, they knew that they wanted to adopt a child that was harder to place. They were seeking to give a home to a child that would not have a home otherwise. They began considering adoption from the country of China and specifically a child born with Down syndrome. China’s shared list currently has 3,570 files on it and a huge number on that list contains files of children with Down syndrome. This condition is not unique to China. There are children throughout the United States and all over the world in need of a loving family willing to care for them. Many websites advocate specifically for children with this condition because the need for families to parent these children is so great. 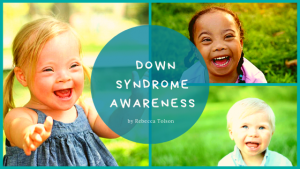 The National Down Syndrome Adoption Network works to connect families with children available for adoption domestically and through the foster care system. Reece’s Rainbow advocates for children with Down syndrome and other special needs as well. You can search for waiting children available through Nightlight’s programs by visiting Adoption Bridge. Adopting a child with an identified medical condition can be scary. 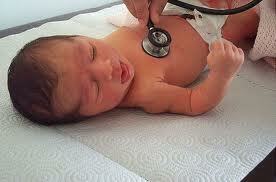 There are many unknowns in the process regardless of your child’s medical needs. Kait shared some of her fears about their upcoming adoption. She is worried about how this will impact the life of her biological children. Jay and Kait have a son and a daughter that are very young. When they bring Joanna home, they will have 3 children all within 9 months age of one other – toddlers at that! Another fear are the unknowns associated with international adoption. It is not always easy to have the most up to date information when you are adopting internationally. There is a lot they will not know about Joanna until they bring her home and have her fully evaluated by medical professionals. Of course, like all international adoptive parents, Kait worries that their happiest day – the day they finally meet Joanna – will be her hardest because Joanna will be leaving everything she has ever known. Finally, Kait stated they are going into this adoption knowing they will likely provide care for Joanna for the rest of their lives. While there are many fears that go along with adopting a child with a special need, there are even more things to look forward to. Jay and Kait are excited to parent Joanna and seeing her life follow God’s special plan he has laid out for her. They want to show her, each day, how wonderful and wanted she is. Of all things, Kait wants to make sure that Joanna knows how much she is loved. She hopes she will understand that God did not make a mistake when he made her and that she is perfect the way she is. They also look forward to raising their three children together and have already started teaching their other children that everyone is created with different needs and that Joanna’s needs are going to be different from theirs. They also look forward to their children growing up together, learning from one another and hopefully becoming the best of friends. We are thrilled that God has called this special family to adopt Joanna and we know that he has a special plan for her life. She will grow up in a home where she is loved unconditionally. I encourage you to read a short story, Welcome to Holland, by Emily Perl Kingsley. She gives a great metaphor for parenting a child with special needs. If you are interested in adopting a waiting child, visit Adoption Bridge, or call one of our Inquiry Specialists at (502)423-5780 to learn more. 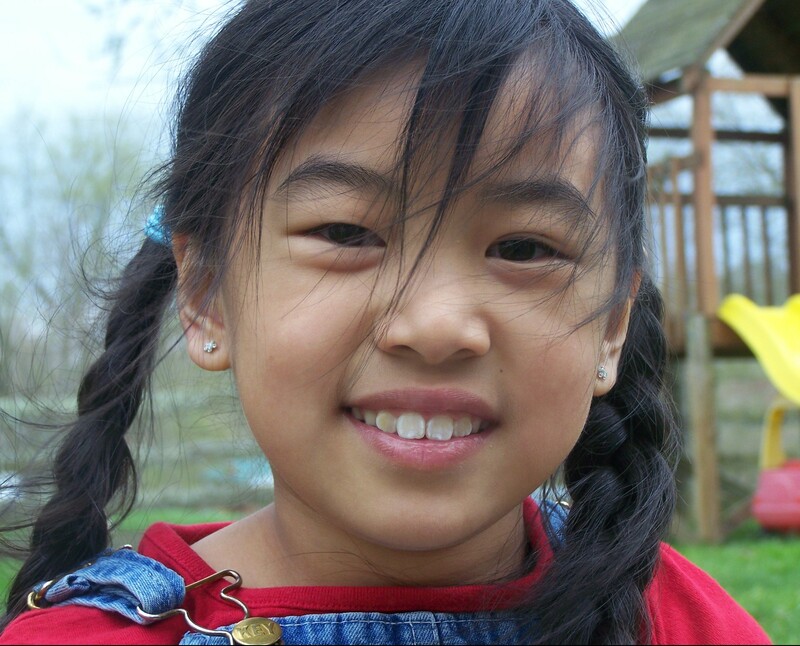 Lilly, born in China, was welcomed into the loving arms of her mom and dad, Jenny and Daniel, at the age of 3 years. That was nearly a decade ago, not long after I began working with the China program! I recently reconnected with Jenny to talk about Lilly’s journey over the past ten years. Jenny fondly recalls the excitement of being matched with Lilly. Although they were thrilled to become parents, there were looming questions about her diagnosis which had the potential to cause great fear. Lilly was born with spina bifida and hydrocephalus, both of which were surgically repaired in China shortly after her birth. Jenny shared that while she and her husband were hopeful that the surgeries had been successful, they did not know the extent of damage or what her future would hold. As directed, they researched her medical needs and spoke to a physician specializing in international adoption. They learned of worst case scenarios while staying cautiously optimistic. Jenny stated it was easy to allow fear to slip in as they waited to travel. While worrying about mobility issues, possible paralysis, cognitive deficits, future needs and surgeries, they also began thinking about accommodations that could be made to ensure she was given the best life they could provide for her. Through it all, they trusted God would provide and pressed forward. Lilly came to them as a tiny 28 pound 3 year old wearing 12-18 month clothing. She could barely walk and had many other physical delays common of children coming from less than optimal care. These deficits were quickly overcome through short term therapy. Jenny reports, however, that the personality that emerged within a few days of placement in China is the same personality Lilly exhibits today which has allowed her to overcome and flourish. Due to the spina bifida, Lilly has some hip displacement and wears braces on her legs requiring occasional appointments at Shriners Hospital for adjustments. Because of the hydrocephalus, she has a shunt and sees a neurologist every other year. She also requires annual visits to an ophthalmologist to check the pressure behind her eyes. Despite the braces, mobility is not an issue and she even cheers for an Upward basketball team! She is actively involved in choir, musicals and theatre and does not allow her orthotics to limit her abilities. Cognitively, she is fine and does well in school. 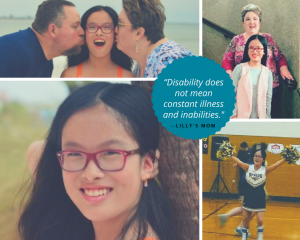 Other than medical visits to monitor her conditions, Lilly is a typical pre-teen on the brink of celebrating her 13th birthday next month. Jenny told me that as a parent, her greatest challenge has been advocating for her daughter medically. While she trusts her treating specialists and referred to them as “amazing,” she also trusts her own instincts as Lilly’s mother. She shared that the neuro department wanted to perform a procedure on Lilly’s shunt, however, Lilly was not showing any neurological symptoms to indicate intervention was needed at the time. Despite the surgical recommendation, they made a decision together as a family to wait after learning there were more risks with having the surgery than not. They realize that surgery may be needed in the future and will face that when the time comes. Jenny and Daniel have also taught Lilly how to deal with curious questions from her friends as well as prying questions from others. 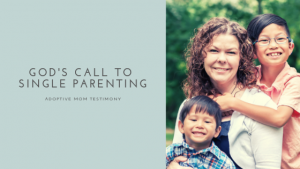 They have given her the confidence that her adoption story and tough beginning are HER story and she can choose to share the details or keep them private. Her outgoing personality works to her favor in this regard. 2 Timothy 1:7 For God gave us a spirit not of fear but of power and love and self-control. Did you realize that today is World Down Syndrome Day? Why the 21st of March, you ask? The date for WDSD being the 21st day of the 3rd month, was selected to signify the uniqueness of the triplication (trisomy) of the 21st chromosome which causes Down syndrome. Nightlight has had the privilege of assisting many families to adopt children with down syndrome both domestically and internationally. You’ll love hearing from some of these kiddos family members and reading their thoughts about these precious children. We did! Feeling led to adopt a child with down syndrome? 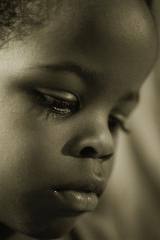 Visit our Child Advocacy Website to view the profiles of children needing a forever home TODAY! If you have you been waiting for a “healthy” referral from China or are signed up to receive a referral from another country and have been waiting, you may want to consider making a change. Last year, 2,040 children entered the United States through Intercountry adoption from China. 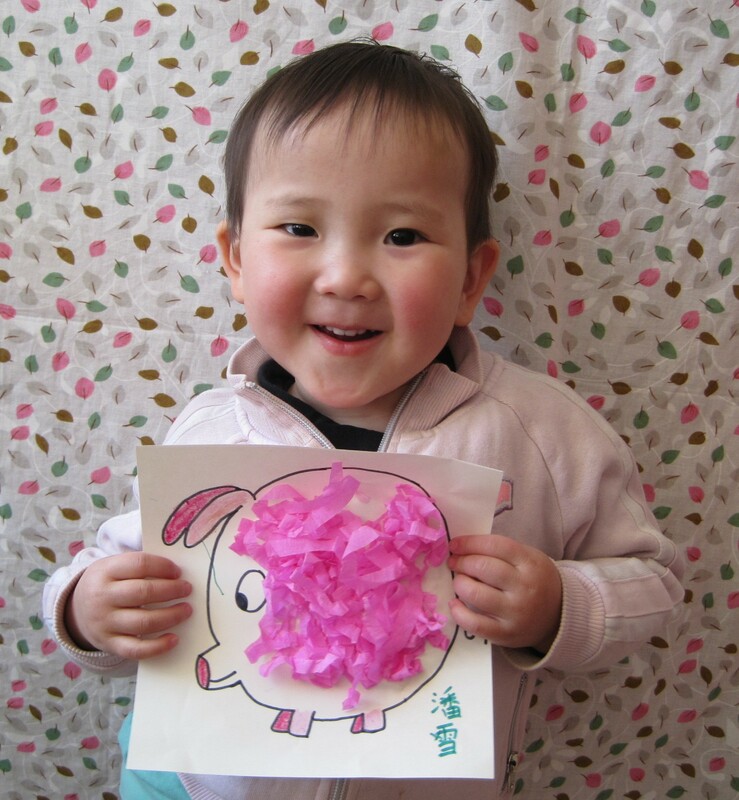 China remains the largest Intercountry adoption program and the majority of these children are children with special needs. However, let’s talk about what China considers special needs versus what we here in the US consider special needs. In the United States, when we hear the term “Special Needs” we usually think of a child in a wheelchair or in a special classroom. For the sake of adoptions, please know that special needs can certainly encompass those children, but more often than not, these children have a medical condition which made them “undesirable” in China. First, China does not have a good support system for families who have a child with special needs. Secondly, because of their one-child policy history, most parents desire a “perfect” only child. Any medical condition, even the most minor, will cause the child to be abandoned. This means children are available for adoption who have repairable heart conditions, cleft lip/palate, club feet, were born premature, have thalassemia, and various other repairable or manageable conditions. China classifies their children into “Special Focus” and “non-Special Focus”. Typically, Special Focus children have more moderate to severe special needs and the CCCWA gives us up to 3 months to match those children with families. The non-Special Focus children are usually younger and have more minor special needs. The CCCWA only gives us 3 weeks to match these children with families and they can only be matched with families who are logged-in and who have a valid home study and USCIS approval. Lately, we have had much success in matching many of our families who are waiting for children with special needs, and because we have expanded our One to One partnerships and are now working with 3 orphanages, we anticipate receiving an increased number of files for children who would be considered non special focus. These are the children who can only be matched with logged in families who have a valid immigration approval. We want to encourage those of you waiting in the China traditional program or waiting in another country program with Nightlight to consider the special needs program. If you are in this position, please contact us to discuss. Nightlight desires to place waiting children into waiting families and does not desire to see families waiting in other programs. Because of this, we are willing to credit these NCA transferring families with fees already paid to another NCA program, as much as possible, toward fees due in the China program. For those of you who have a dossier logged-in through the traditional program, we encourage you to update your home study and apply for a new I-800A USCIS approval so that if we receive files of children with minor special needs, we can at least call you and tell you about them. As of now, we are prohibited from matching a child with a family if the family does not have the proper government approvals to be matched. China places this restriction because they want the children to come home to a family as soon as possible. It can take 3 to 4 months to update your home study and immigration approval for China. If you are also completing a dossier for China, it will likely take 4 to 6 months to get your dossier logged in so that you are ready to accept a referral. Don’t delay getting started as soon as possible. Once you make the decision this is something you will consider, we will have you complete a Medical Conditions Checklist and provide information to help you research various special needs which are commonly seen from China. You and your family would have an opportunity to review these medical conditions and mark those you would be willing to consider. When we received the file of a child which meets your preferences, we will call you to discuss and you will have the opportunity to review the file prior to accepting or declining the referral. 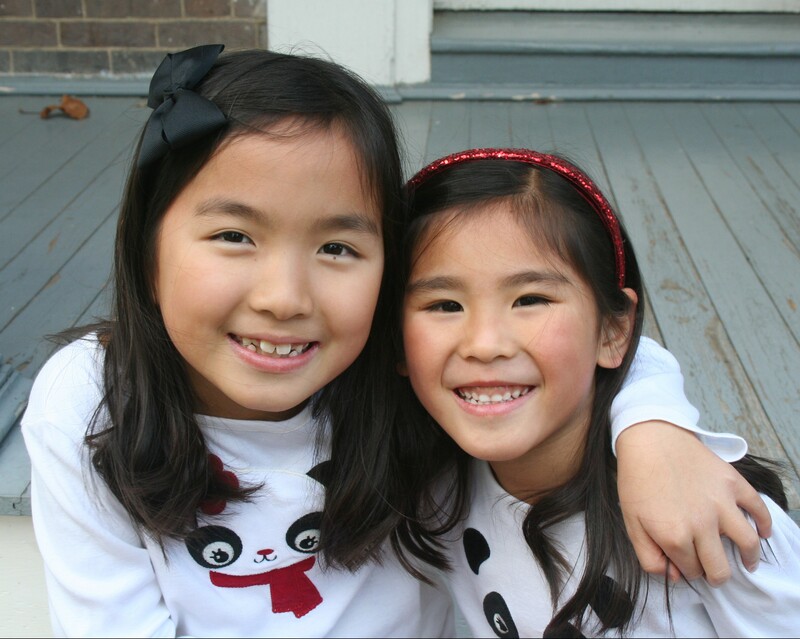 If you would like to discuss the possibility of switching to the China Waiting Child program from either the traditional China program or another NCA adoption program, please call or e-mail Stephanie@nightlight.org or Hannah@nightlight.org. Many families pursuing international adoption are intimidated by the options, the process, as well as the potential challenges. So when a family hears about “special needs” adoption, they can feel completely overwhelmed. But the truth is that most of these special needs are quite misunderstood and often can be corrected with minor treatments or training. 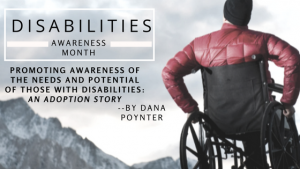 This week, we put a special focus on special needs adoption by taking a revealing look at cerebral palsy. The following was written by Joan Francis, an attorney whose expertise is in Family, Disability and Juvenile Law, and who has also adopted a special needs child. “What is cerebral palsy (CP)? Any situation involving any level of brain damage immediately before, during, or within about a year after birth is essentially by definition “cerebral palsy,” unless other diagnoses also apply. Typically this is due to deprivation of oxygen on a temporary basis or bleeding in the brain, which sometimes occurs in very premature infants. Injury to the brain after a child is one year old is usually called TBI (traumatic brain injury) —for example: a blow to the head, near-drowning, shaken baby, etc. Many with CP may have great difficulties in one area (such as severe dyslexia) but display almost photographic memory, dramatic intuitive thought, and comprehension, as well as other unexpected gifts as well. Karyn Purvis, a professor at TCU and the author of The Connected Child, discusses how children’s brain neurochemistry can be negatively changed due to early life experiences, causing the child to have learning, social, and behavioral issues. Neurochemicals are the chemicals in the brain that send signals. So if the brain is not sending the right signals this can affect the brain directly as well as the child’s behavior. This can include drugs, alcohol, and a mother’s dealing with stressful situations. If the mother had a prolonged labor in which child was removed harshly by forceps, this can cause bleeding in capillaries in brain. 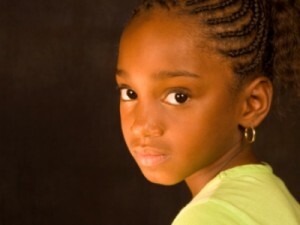 (Also read Adoption and HIV, Part 1: Know the Facts and Adopting the HIV Positive Child, Part II. Before you adopt a child—any child—it is only natural to consider what the response of friends and family will be. After all, this is one of the steps in the adoption process—telling others. Because HIV infection is so serious, and children and adults alike are more prone to other infections, keeping a child strong and healthy is very important. 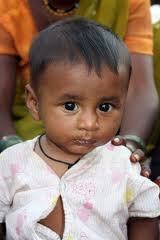 And because children do not have the same reserves as adults, good nutrition is especially important for them. In poorer countries and in orphanages, where children oftentimes receive less than optimum nutrition, their bodies are further compromised and more prone to infection. That is why in other countries, orphanages dedicated to the care of HIV positive children receive extra funding and attention so that the children can receive the extra medical and nutritional care that they need.